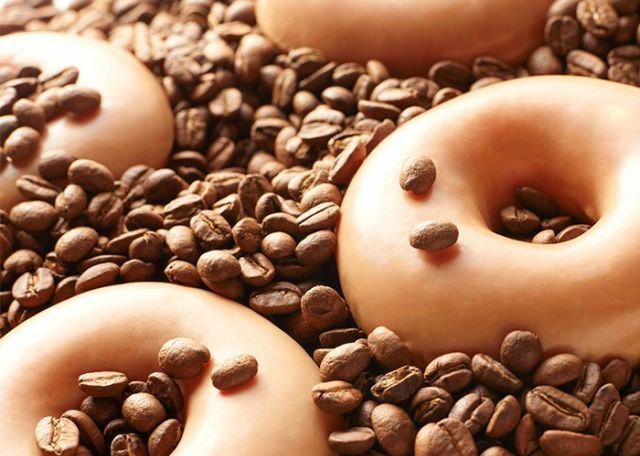 In celebration of National Coffee Day, Krispy Kreme will be serving up new Coffee Glazed Donuts for a week, starting Monday, September 24, 2018. They're also introducing new Original Glazed Coffee as a permanent menu item. The Coffee Glazed Donut features a yeast ring donut covered in a sweet coffee glaze, while Original Glazed Coffee is meant to taste like the chain's signature Original Glazed Donut. To help you celebrate National Coffee Day, on September 29, 2018, you can stop by any participating Krispy Kreme shop and get a free Krispy Kreme coffee of any size. Additionally, Krispy Kreme Rewards members can enjoy the added perk of a free donut with their coffee that day.